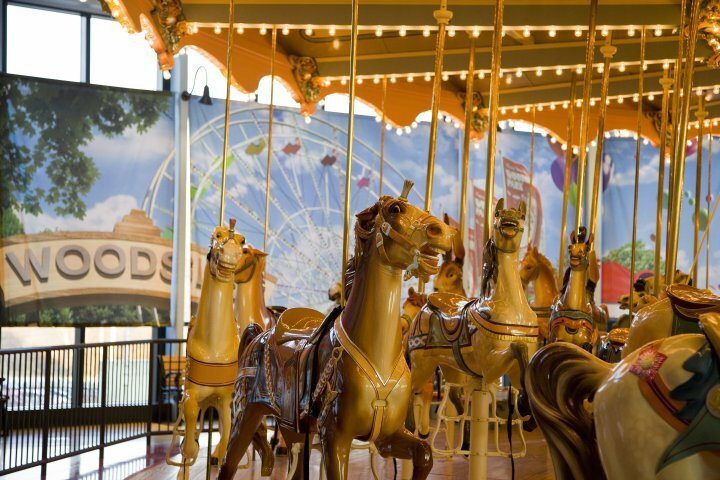 The Woodside Park Dentzel Carousel at Please Touch Museum. Please Touch Museum will host what may be the cutest party in history when it throws the Kindergarten Mixer Saturday, August 1. Just for little ones about to enter kindergarten, the free event is planned to get preschoolers ready for the big leagues. Part of the Museum's School Readiness Initiative, the evening program is open to the community and the full museum will be open. A kindergarten teacher will be on hand to chat with, family-friendly entertainment will be on hand and "Pinky Prepares for Kindergarten" will be presented at the Please Touch Playhouse. Registered students entering kindergarten this fall will even receive a backpack full of goodies and school supplies while supplies last. Siblings are welcome, of course, though the special gift is just for kindergarteners. Registration for this free event is required.